I'm so happy to be guest-designing with Avery Elle this month! 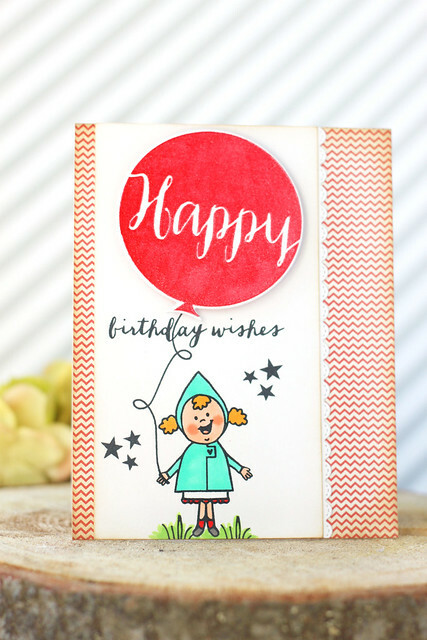 Today, I played around with the new balloons stamp set and coordinating dies, pairing it with a previously-released favorite, red & goldie. Goldie is all dressed up for a party, and bringing one huge balloon with her. I stamped the balloon twice, so that I could get a really saturated color. I love being able to do that with clear stamps! 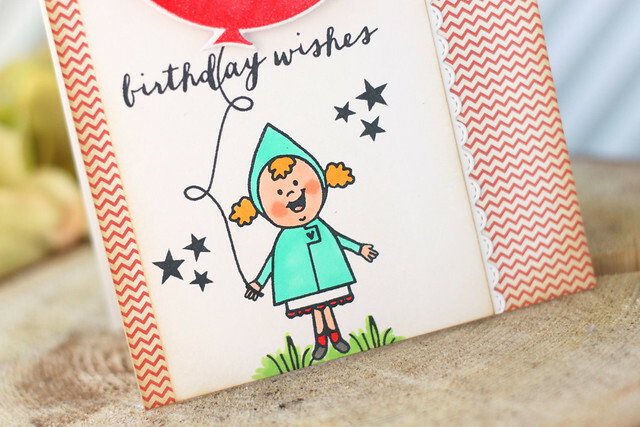 The "birthday wishes" sentiment is from red & goldie - I thought it fit the space so well, sneaked in there. The overlap of the balloon string and the sentiment is my favoritte. The starry accents surrounding Goldie are from party animal. I hope you like my first Avery Elle project! I'll be featuring AE every Wednesday this month, so I hope to see you back. Before you go, you might like to check out *this card* where I played with Red and her not-so-menacing foxy/wolf. hee. Love your card, Elena! Congratulations on being their Guest Designer this month! Adorable...love the huge baloon and her cute expression.